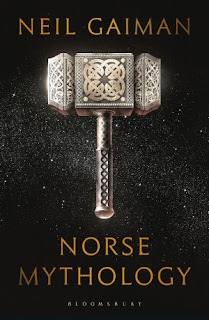 The great Norse myths are woven into the fabric of our storytelling – from Tolkien, Alan Garner and Rosemary Sutcliff to Game of Thrones and Marvel Comics. They are also an inspiration for Neil Gaiman's own award-bedecked, bestselling fiction. Now he reaches back through time to the original source stories in a thrilling and vivid rendition of the great Norse tales. Gaiman's gods are thoroughly alive on the page – irascible, visceral, playful, passionate – and the tales carry us from the beginning of everything to Ragnarok and the twilight of the gods. Galvanised by Gaiman's prose, Thor, Loki, Odin and Freya are irresistible forces for modern readers and the crackling, brilliant writing demands to be read aloud around an open fire on a freezing, starlit night.